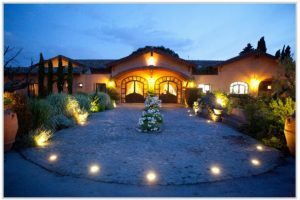 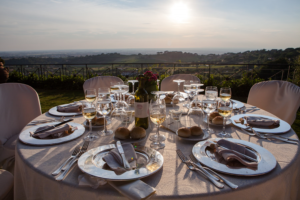 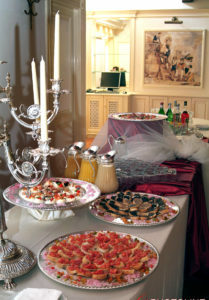 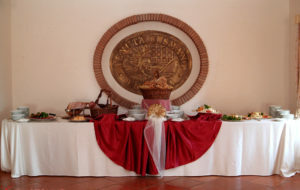 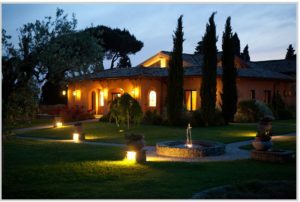 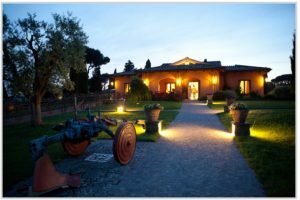 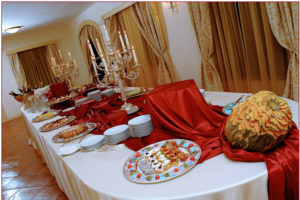 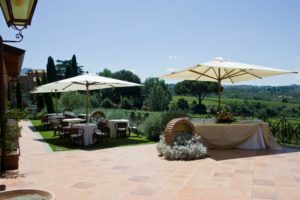 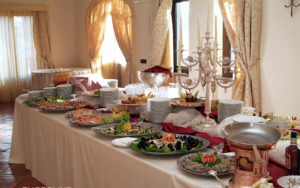 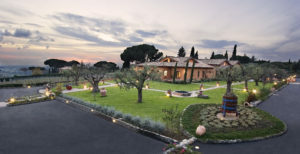 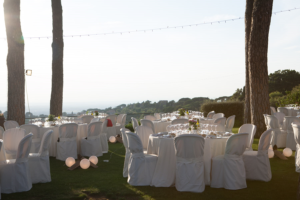 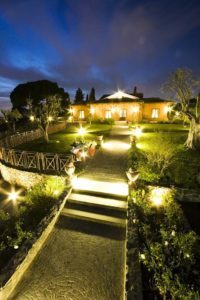 The villa for receptions of Tenuta Cusmano has large finely furnished spaces, suitable for hosting prestigious events such as meetings, weddings, fashion shows, gala dinners and any other occasion deserving a high profile location. 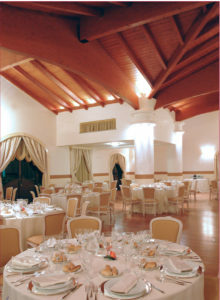 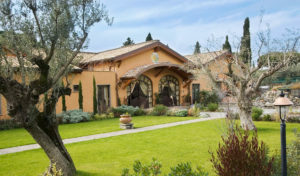 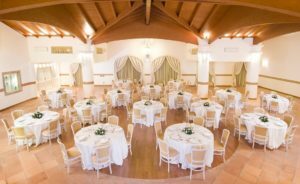 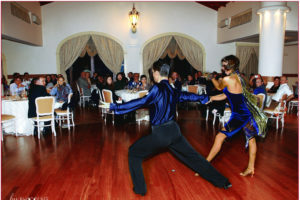 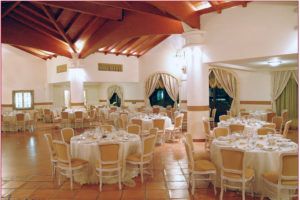 The structure consists of a large hall, which can accommodate up to 230 people comfortably seated, and three adjacent rooms, and is surrounded by a beautiful Mediterranean garden dotted with olive trees. 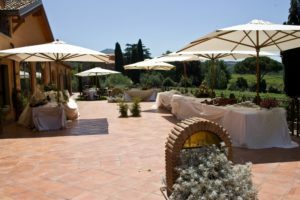 The bride and groom are offered various outfitting solutions, both in summer and winter, using the indoor and outdoor spaces. 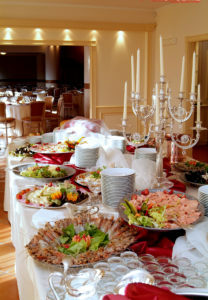 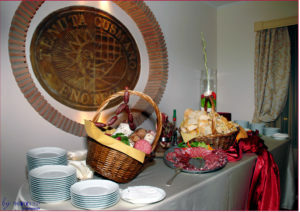 The professional kitchen is used by the chefs of our partner banqueting companies, who prepare delicious menus for every occasion. 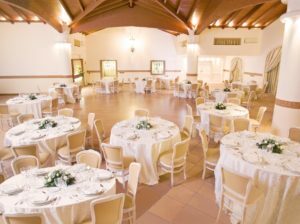 Tenuta Cusmano borders the Istituto of the Suore Missionarie Francescane, a religious institute with a beautiful panoramic church for the celebration of weddings, which therefore represents the ideal solution for our spouses.